The Travelling Talesman returns to Medway on the 1st November from 7:30pm, after his wonderfully successful appearance at the Good Intent this May. He will be telling dark tales of wizards and witches, spells and enchantment in the atmospheric Fort Amherst Gatehouse. 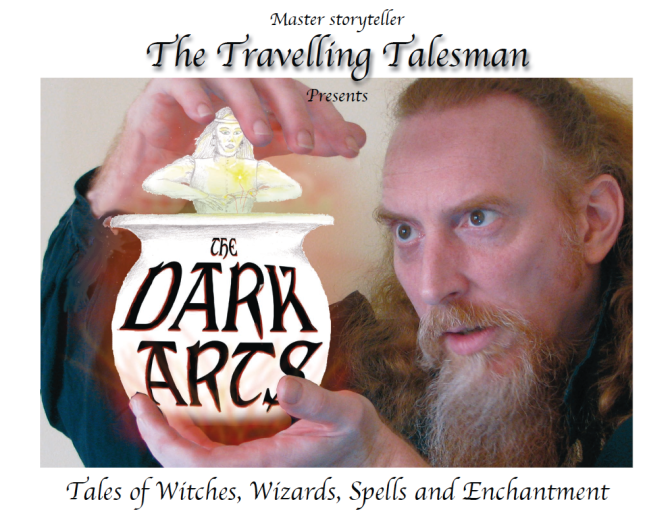 The Talesman is a storyteller who enjoys taking his stories to new places. With twenty years experience telling myths, legends and folktales, last year he was nominated for “Outstanding Male” in the British Awards For Storytelling Excellence. Please wrap up warm and feel free to dress up for what promises to be a fantastic event. Seating will be on old wooden benches, in keeping with the setting. Feel free to bring your own cushions for additional comfort (or to hide behind!). There will be three 30 minute storytelling sets with time to visit the Fort Amherst bar in between, unfortunately no alcoholic drinks can be consumed in the gatehouse. Like all good folk stories expect a fair amount of gory death, burning, murder and peril and you’ll be on the right trail.